Brandon University is a student-focused institution, attracting students both locally and globally who seek a personalized education. The University has a distinctive focus on teaching and learning through academic and professional programs based on a strong liberal arts and science tradition and supported by the leading research, scholarly and creative activities of faculty and staff members. Its people, facilities, programs and services, and its warm prairie hospitality, set BU apart from other universities. 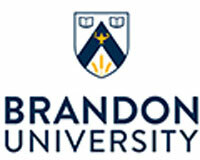 Brandon University offers undergraduate and graduate degrees through its faculties of Arts, Education, Health Studies, and Science and its School of Music. BU values excellence in teaching and research. Small class sizes, accessible faculty, experiential learning, an integrated and aesthetically pleasing campus and a diverse student population combine to form a stimulating, supportive and personalized learning experience. BU celebrates cultural diversity and is particularly committed to the education of First Nations, Métis and Inuit peoples. The University is continuously improving through the introduction of new academic programs, such as the Masters of Environmental and Life Science program, the Masters in Psychiatric Nursing program, and new student success programs. The University facilitates collaborative research in and between departments and faculties. It holds three Canada Research Chairs and benefits from a wide range of Tri-Agency and external research funding. At both the undergraduate and graduate levels, students are encouraged to participate in research projects with faculty members and many opportunities for hands-on training in state-of-the-art facilities are provided. Source : Statistics Canada. Fees for programs in arts and humanities (2017-18).